I have been creating unique contemporary sculpture for over 25 years, and have recently returned “back to the garden” with a series of outdoor modern cast concrete sculpture totems called Drods. My cast stone totems mark the landscapes of clients with a unique focal point. Signature themes involve a layering of multi-media dimensional elements and might include cast glass, aluminum & copper, and reinforced concrete. 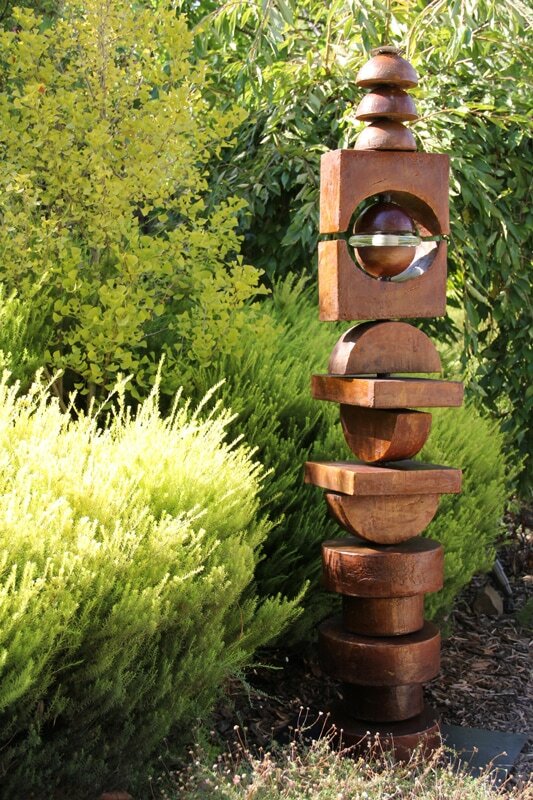 In 2015 I spent over six months developing Drods, a contemporary totem design, and fabricated a number of casting molds allowing the artistic freedom to create unique compositions of geometric shapes for the garden. Drods (Dan Rider Outdoor Sculpture) are composed of stackable precast concrete and glass in simple geometric shaped and Northwest inspired elements available in several stained colors. Directions: From Hwy 525, turn south on Double Bluff Road, right on Lancaster Road, to 1835 Lancaster Road on the right.